This is the memoir of a colonial police officer who served in Palestine (1947), Malaya (1948) and Uganda (1955), before returning to the U.K. in 1965. It is written in an effectively straightforward and economic fashion, with all its forty-seven chapters taking up no more than 168 pages. Readable and of considerable interest to those who were serving in those territories over the same period, it provides welcome source material for one who, like this reviewer, keeps a watchful weather-eye open for any potential contribution towards a one-day history of Britain's Colonial Service In this context if for no other reason, it is to be sincerely hoped that future autobiographers of their Colonial Service days will insist on their publishers including an index of personal names. 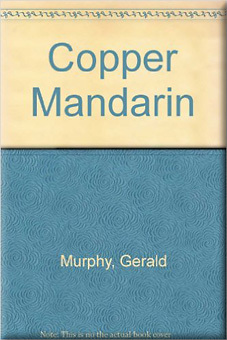 Copper Mandarin has also furnished me with yet another example of those men's (and women's) famed versatility in the range of their 'second careers', for, on the recommendation of that admirably run Overseas Resettlement Bureau to which, under Sir Edwin Arrowsmith, so many readers of this magazine have cause to be grateful, Mr. Murphy secured the job of trainee general manager at one of those Hi-de-Hi camps so popular in the pre-package holiday Britain of the mid-1960s... before moving on to better things, as the only non-graduate among the 47 successful candidates of the 1,500 taking the Home Civil Service Administrative Class open examination in 1966.